Next Karunya Plus Lottery Draw Will Be Held On 13/12/2018 At Gorky Bhavan Near Bakery Junction Thiruvananthapuram. 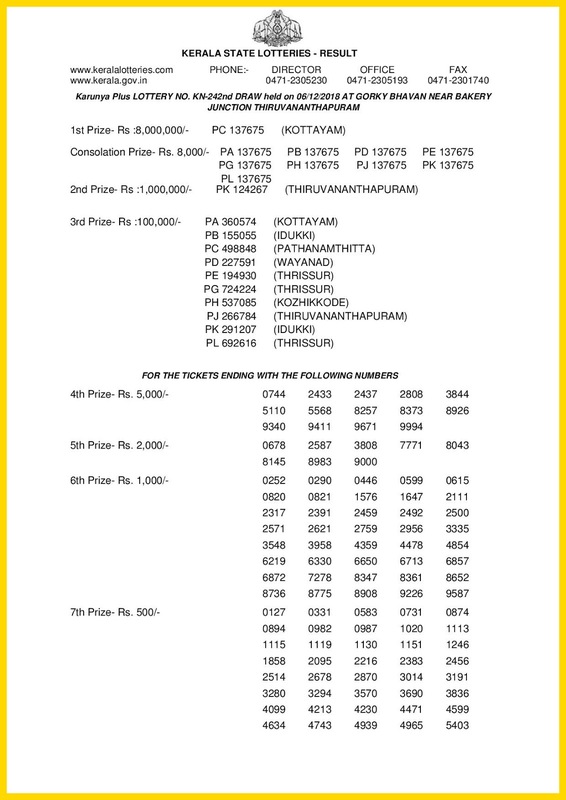 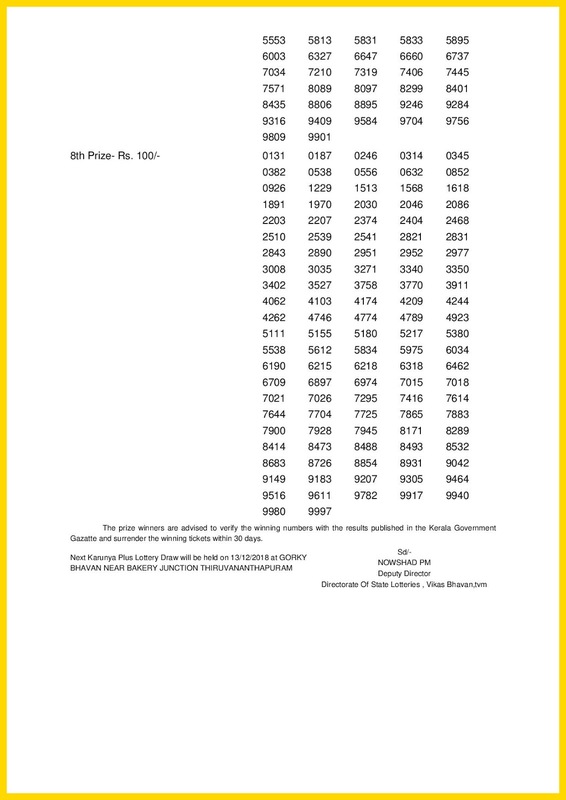 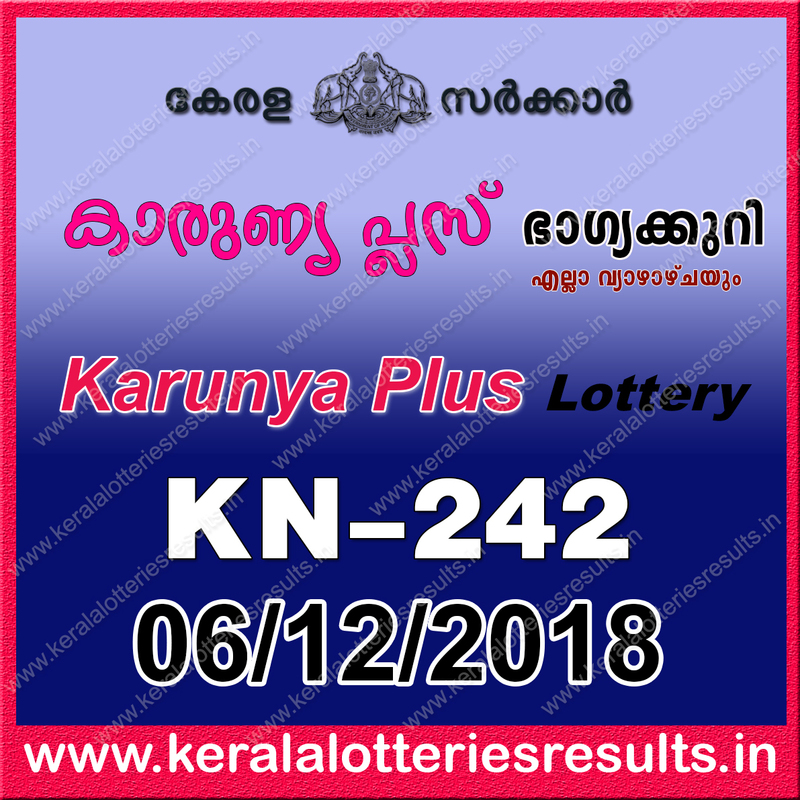 "Sthree Sakthi Lottery Result SS-134"
We publish KARUNYA-PLUS KN 242 lottery result 6-12-2018, karunya plus lottery thursday result 6-12-2018, 6.12.2018 karunya-plus kn-242 lottery result, karunya-plus lottery result today KN 242 (December 6, 2018), Kerala Lottery Result today, karunya-plus Lottery Result Today, Todays Lottery Result, KARUNYA-PLUS KN-242 Lottery Result, karunya-plus Lottery Draw Result, Kerala karunya plus Lottery Result 06/12/2018. 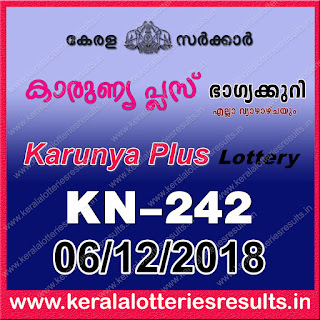 keralalotteryresult 6-12-2018 karunya plus lottery results, karunya plus kn-242 lottery result 6-12-2018.